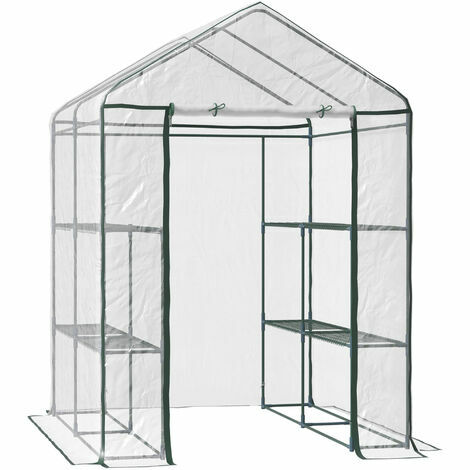 This large greenhouse is a perfect growth environment for flowers, plants and even vegetable. Made with a sturdy steel pipe frame and covered with a durable pvc film, this will maintain a consistent temperature for essential and healthy growing. It comes complete with a 12 grid metal rack for easy placing of pots, and the clear pvc film will give maximum light and not cause the greenhouse to overheat. A perfect solution for your home growing needs.